For many of us, the only thing we care about is to snap and upload those pictures to our Instagram stories in the hope that we will get some “love” without actually giving a care in the world what the actual Instagram Story Dimensions are or if they are even important in the first place. On the surface, it will seem like just one of those things, but getting every single thing right on Instagram is what you will want to do because the with over a billion active users, it means that there are so many stories for your own to get lost in the crowd if it is unable to stand out. More so, Instagram is serious about the story dimensions, hence when you put pictures that are either small or too large, it either zooms it or crops it to take it to the right size. Essentially, you either lose details or the quality or even both on your upload. 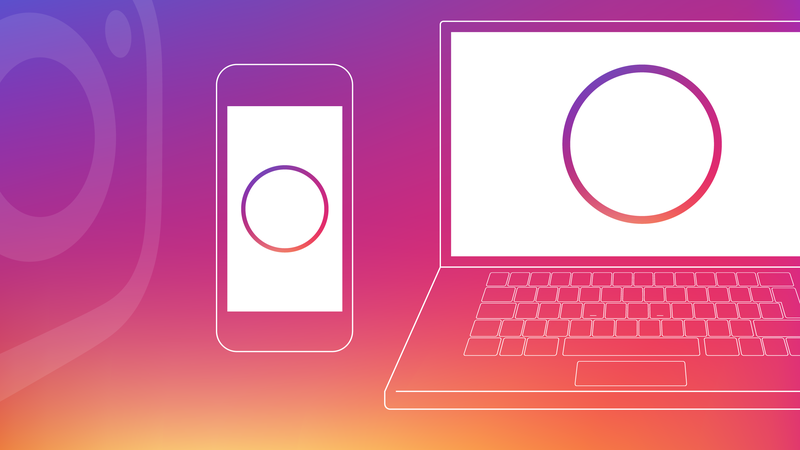 What are Instagram Story Dimensions? Instagram story dimensions are the proper measurements of the images and videos you are adding to your story by their width and height. With that said, the height and weight of the picture or video that you are uploading whether you are an individual or, most importantly a business, should be in the right proportions. The actual story dimensions for Instagram is given as 1080px by 1920px. What this means is that you are expected to upload images and videos that measure 1080 pixels wide and 1920 pixels in height. To put it in ratio, it should be 9:16. As pointed out, you will not be prevented from uploading any contents that do not meet the size or those that go above it. Nonetheless, Instagram will always rework on the image to make sure it meets the needed dimensions, hence your actual quality may drop, affecting the clarity and details of the image or video. If you get to use an Image that is originally 720 by 1280, the quality will still be quite good, but you will see that it is not completely good. Once it goes any lower, the uploading speed will be fast but the quality will definitely suffer. Essentially, why the Instagram story dimensions are important is so that your images and videos can maintain their high quality after uploading them. All stories on Instagram are designed in such a way that they can only last for 24 hours before they finally disappear. You will be able to see someone’s Instagram stories once you follow them. When people add images, you will see it whether you are using the app or through the web. If after seeing someone’s stories the person adds more, you will be able to know, thanks to the colors differentiating stories you have seen and those you have not. If you are using the Instagram app, the stories of people you are following will appear at the top of the feed so by tapping on the stories, you will begin to see them. The important thing for you to know is that as each story passes, the next in front of it loads automatically. When you finish with the stories of one person, it automatically loads to the story of the next person, until it reaches the end. If you are using the web on either a mobile device or desktop, the stories appear at the top of Feed or at the right respectively. To see the stories, tap on any and use the arrow to go to next. To exit it, select X at the top right side of the story and it will return you to Feed. Interestingly or not so, you get to know whoever sees your story and in the same light, you get to be seen when you creep on people’s stories. If you love watching these stories (who doesn’t?) but you are worried someone may think you are stalking, there are different ways that you can watch them without the person knowing. To do this, simply go to the story after the one you want to see and if it starts, swipe a little to the left or right. This will take you to the stories you want to see and it won’t register that you have viewed it. The only thing here is for you to make sure that you don’t swipe too much else you will be registered as just another viewer. There are also apps available for both Android and iOS such as the Story Saver and Story Reposter respectively that you can use to not only view but also to download or repost. The first thing to do is to download either of the apps and install it. Log into the Story Saver App with your Instagram details. Look for the stories you want and then you can decide on what you want to do with it- repost, share, or save. The process is not too different for the Story Reposter App. There are a number of web tools that you can also use, for someone who is using a computer and cannot download apps. One of the best that we have found is storiesig. When you are using the site, all you need to do is to put in the username of the person that you want to view and the person’s stories will display. Now you can watch at ease with nobody knowing you are seeing. Through storiesig: This is not only an easy way for you to see the story of people, but it is also one of the easiest ways for you to download it. Once you go to the site and put in the username of the person whose stories you want to download, the stories will appear. Just click on download and you will have it. Another way to download it is through the apps above; Story Saver App or Story Reposter for Android or iOS. Once you get the stories, you will have the options of downloading it. What Is 123hulu? Is It Safe To Use And Legal To Watch? Att.net Email Login, Setting, Bill Pay, Is It The Same With Yahoo? Avast Cleanup: Free Trial and Premium Review, Activation, Is It Worth It? What Is VNC Viewer For Mac Or Windows? What Is It Used For? What is Microsoft Office Suite, What Programs Are Included In It? What is Razer Cortex Game, System Booster? Does It Work, Is It Good, Safe?